All guests, couples with or without children, will feel the warmth of the Cretan hospitality of the Chalkiadakis family. A fully equipped kitchen will meet your needs while the comfortable houses extended in two floors will make your stay unforgettable. Staying at villa Eleonas was as best as expected. Location is wonderful, next to Ano Kato cafe (which serves delicious sheep milk icecream), and next to Sterno tou Bloumofisi – the best and busiest restaurant in Vamos. Villa is exactly as in the photos. Bathroom upstairs is a bit small (especially the shower) but we managed to use it. Kitchen is fully equipped, including toaster, coffee filter, pans etc. All in all a wonderful stay in villa Eleonas! Magnifique séjour ! le jardin est très agréable et très bien entretenu. Les petites intentions de Costis et sa famille sont très appréciables nous gardons que des bons souvenirs ! Villa Eleonas is a beautiful, extremely spacious house in the small village of Vamos, just (Phone number hidden by Airbnb) minutes drive from several stunning beaches and villages. The house has two good-sized double bedrooms, a large open plan living area including well-equipped kitchen, a downstairs toilet and a bathroom upstairs. It also has a very pretty garden with lemon and lime trees and a vegetable garden alongside the swimming pool. 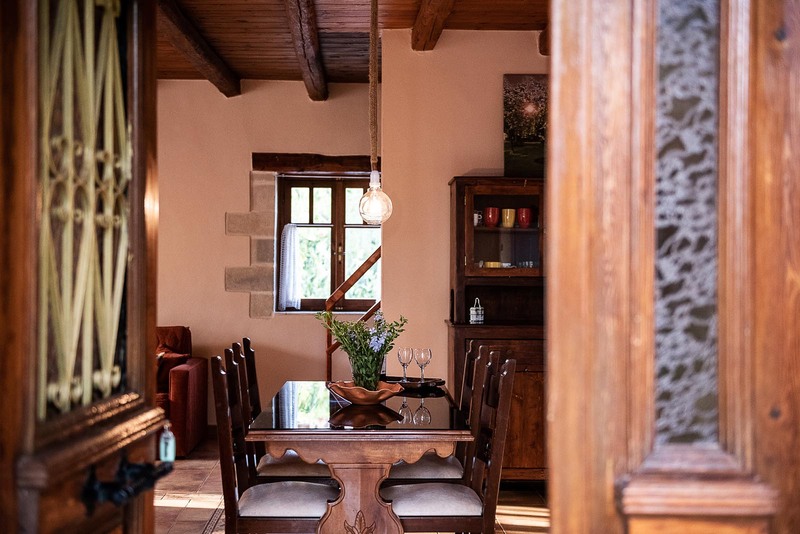 There are tables and chairs in several different areas around the house, including a very large upstairs veranda which boasts amazing views of the mountains during the day and munication with Costis and his family was excellent.